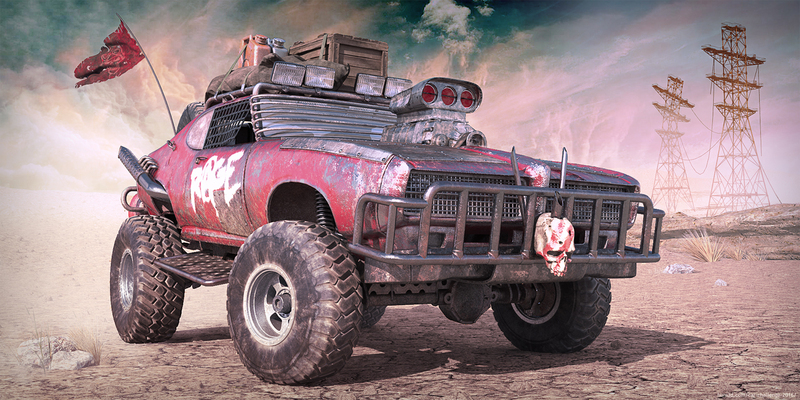 Lone road warrior in a post-apocalyptic world. 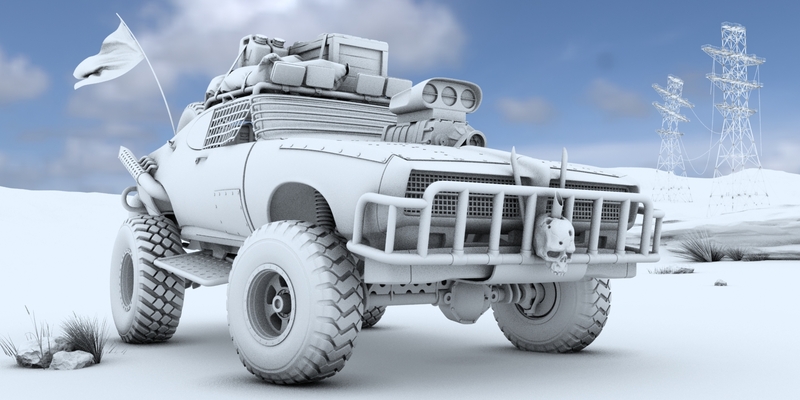 I choose one the most beautiful muscle cars, Pontiac The Judge in a 4x4 version for this render. It´s a tough car, full of rage.